Choo choo choose me! 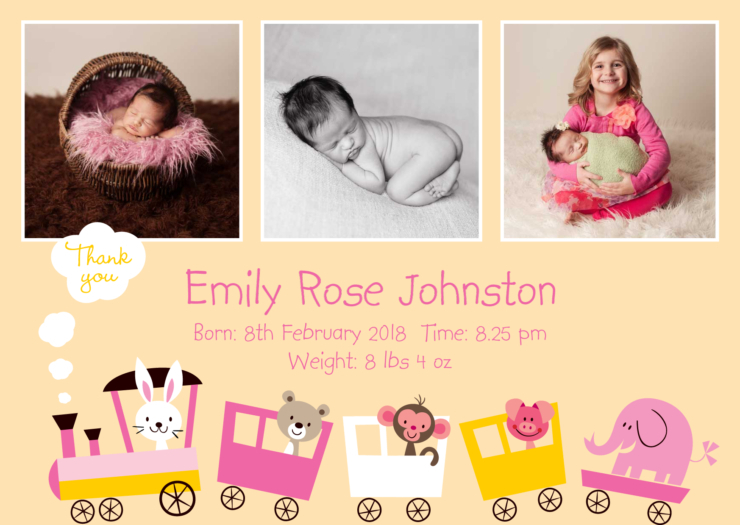 Thank all your loved ones in style with this sweet animal themed baby thank you card. Customise with your text and photo to make it your own.